These are some critters that I snapped during last week. Pretty mosaic of your birdies..I like the light shining on the Starlings.Thank you for linking up to Saturday's Critters. Enjoy your weekend! 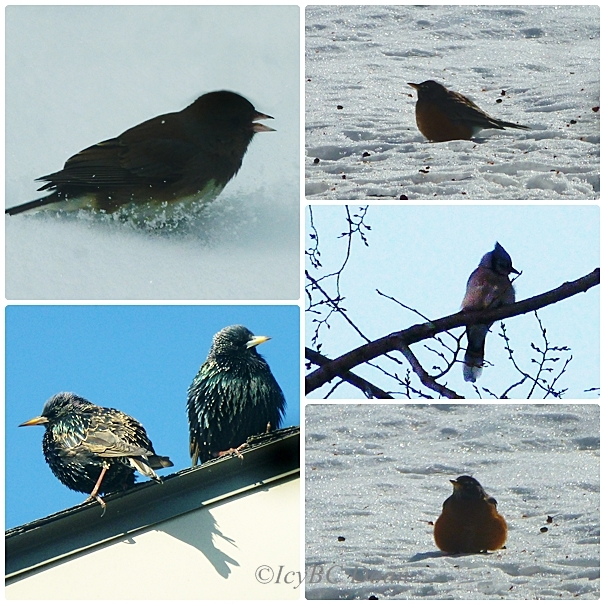 Some very sweet bird shots. A nice collage. Love the Starlings colours, that's one FAT robin! I wonder how to say happy weekend in the language of bird. My nice group of photos! Birds must be much more hardy than they look.